Subscribe/favorite the shows you want to keep up with. Download any episodes you want saved to your device so you can listen to them anytime (with or without wifi); otherwise, just hit play. See? Easy. You can head directly to Feel Better, Live More page on the Apple Podcasts app and hit SUBSCRIBE. (The app comes loaded on Apple devices.) You can also search for Feel Better, Live More Podcast or any other show from within the app. In Greater Manchester alone, inactivity-related illness is costing the NHS £500,000 a week. In fact, there are 250 million car journeys every year in Manchester that are less than one kilometre. And it’s not just Greater Manchester, the situation is the same across the UK. I delve into the reasons behind this with former Olympic gold medallist, Chris Boardman in this week’s episode. Chris, who is now cycling and walking commissioner for Greater Manchester, has a refreshing approach to empowering people to be the architects of their own health. He believes enabling people is key and explains how he is using this approach to build a high-quality, safe, dedicated cycling network across Greater Manchester. 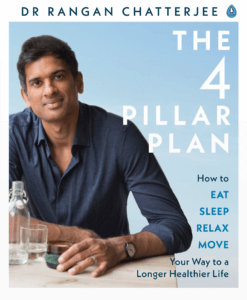 We also discuss how we can all build movement into our everyday lives and where to get started. Chris’s mission is really inspiring, I hope you enjoy hearing about it! Why does Chris think that we should move more? 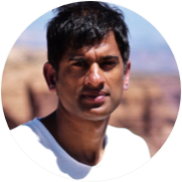 What tips does Chris offer to help us include more movement in our daily lives? How did Chris become an Olympic gold medallist? What is Chris’s role now at Transport for Greater Manchester? What research has Chris and his team performed around Manchester to look to improve the walk and cycleways? How has Chris taking inspiration from other countries with successful cycle networks? What are the important factors in creating a cycle network? Hear how Chris thinks that making walking or cycling the easiest option for everyone is the best way to change habits. What initiatives has Chris seen are a great way to change habits? How can involving your local residential or work community make a difference? What are Chris’s views on cycle helmets and clothes while cycling? What are Chris’s hopes for Greater Manchester’s transport system in the future? Hear how the success of British competitive cycling has had an impact on organised cycling events across the country but not on everyday commuter cycling. What are the cost and health benefits of improving walking and cycle networks? What are Chris’s top tips? 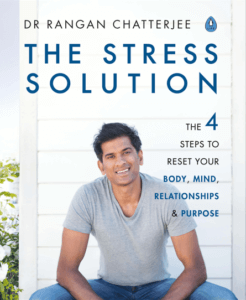 Order Dr Chatterjee’s NEW book The Stress Solution. DISCLAIMER: The content in the podcast and on this webpage is not intended to constitute or be a substitute for professional medical advice, diagnosis, or treatment. Always seek the advice of your doctor or other qualified health care provider with any questions you may have regarding a medical condition. Never disregard professional medical advice or delay in seeking it because of something you have heard on the podcast or on my website.